Description: This version of the game has a few notable differences to its Nintendo 64 counterpart: it runs off a version of the Medal of Honor engine, and has 11 missions in contrast to the N64's 14; some of which are not shared between the two. The missions that are similar (usually those taken from the film) further tend to play out differently, and utilize completely different gadgets and weaponry. 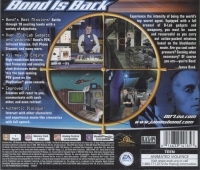 This version does not feature additional objectives at higher difficulty modes, and only cheats are unlocked by beating specific missions at a specific difficulty. However, it does feature CD-quality music and voices, as well as video clips from the movie for cutscenes. It is single-player only, and features no multiplayer component. 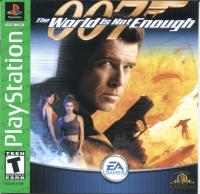 Box Text: 007: The World is Not Enough is based off of the 1999 James Bond film of the same name. In it, Pierce Brosnan's Bond must investigate the murder of a British oil tycoon and attacks on his new pipeline, which leads to a larger sinister plot requiring gunplay and frequent flier miles to diffuse. 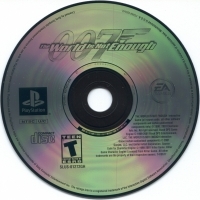 This is a list of VGCollect users who have 007: The World Is Not Enough - Greatest Hits in their Collection. This is a list of VGCollect users who have 007: The World Is Not Enough - Greatest Hits in their Sell List. This is a list of VGCollect users who have 007: The World Is Not Enough - Greatest Hits in their Wish List.